Convert RAW digital photos (and JPEG and TIFFs, too!) 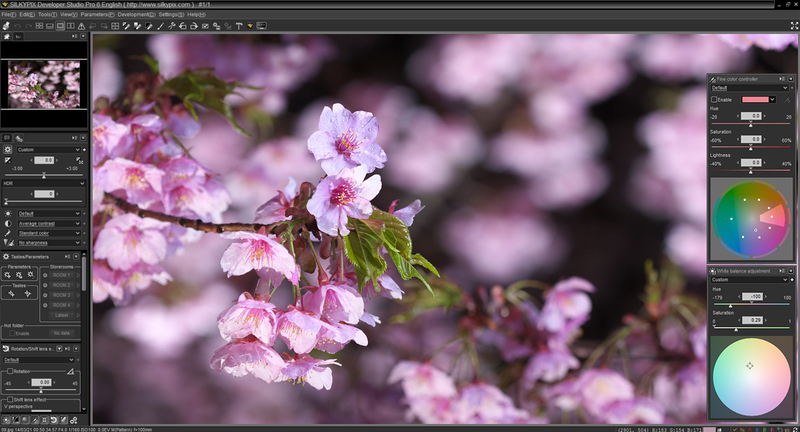 into beautiful images with SILKYPIX Developer Studio and SILKYPIX Developer Studio Pro6.The SILKYPIX products are powerful image correction and RAW conversion tools for both professional and hobbyist photographers on the Mac OS X and Windows platforms. SILKYPIX also includes workflow features such as hot folders, batch development, file same name management and more. It includes a special style system for creating Tastes, that can include development parameters, saved color profiles and even batch development profiles. Tastes used in conjunction with batch development allow photographers to perform highly complex operations on hundreds of photos. Versions of SILKYPIX are bundled with the cameras of leading digital camera manufacturers, including FujiFilm, Panasonic, Pentax / Ricoh and Tameron, and users of those versions can upgrade to SILKYPIX Developer Studio 6 and SILKYPIX Developer Studio Pro6 through Mirye Software. About Ichikawa Soft Laboratory Co., Ltd: Ichikawa Soft Laboratory Co., Ltd (ISL) is the developer of SILKYPIX(R), the premier professional photographer tool for image correction and conversion. ISL was founded in 1988 and is based in Chiba City, Japan. ISL's worldwide distributed SILKYPIX is bundled with the cameras of leading digital camera manufacturers, including FujiFilm, Panasonic, Pentax / Ricoh and Tameron, and supports cameras from Canon, Nikon,OLYMPUS, KONICA MINOLTA, Panasonic, SONY, PENTAX, EPSON, Ricoh, Leica, Mamiya, FUJIFILM, Kodak, Leaf, CASIO, SAMSUNG, Sea, SIGMA and others. Pricing and Availability: As an introductory and limited time promotion, SILKYPIX Developer Studio 6 is on sale for $87, OEM upgrade $75.50, or upgrade from SILKYPIX Developer Studio 2, 3, 4 for $57.50 (regularly $149 standalone, OEM Upgrade $119, and previous versions for $89). 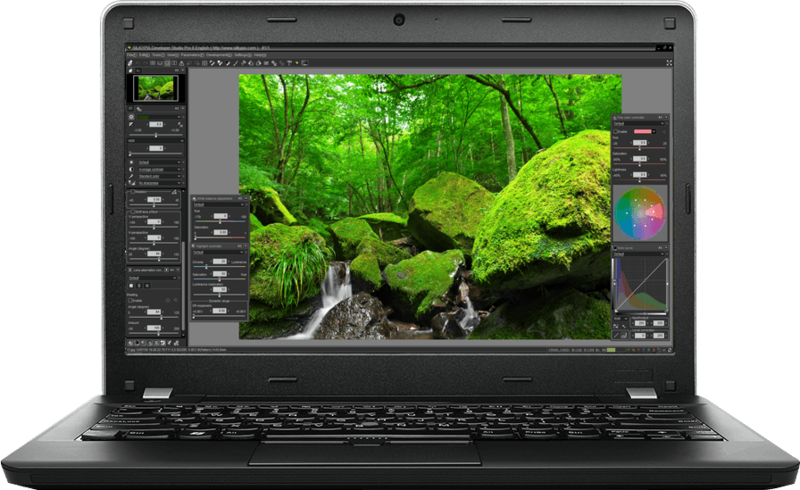 SILKYPIX Developer Studio Pro6 is available for $249 or as an upgrade from the bundled version for $199. Upgrades from previous versions of SILKYPIX are also available: SILKYPIX Developer Studio 2, 3, 4 or 6 to SILKYPIX Developer Studio Pro6 $149; SILKYPIX Developer Studio Pro or SILKYPIX Developer Studio Pro5 to SILKYPIX Developer Studio Pro6 $99. The products are immediately available for purchase through Mirye Software's online store. A special website supporting USA and Canadian customers is available. Beaverton, Oregon - Mirye Software publishes and distributes high performance digital tools for creative professionals. It also distributes and licenses superior and unique content, including 2D, 3D and audio content for use in digital productions. Mirye Software was launched in 2006 as a division of Proactive International, a strategic business development company, in order to provide vertical market professionals with tools and content. All Material and Software (C) Copyright 2015 Mirye Software. All Rights Reserved. Apple, the Apple logo, Macintosh and Mac OS X are registered trademarks of Apple Inc. in the U.S. and/or other countries. Other trademarks and registered trademarks may be the property of their respective owners.